I AM STARING AT JESUS SO MY SPIRIT MAN CAN SUSTAIN THE ATTACKS OF THE ENEMY. MY MIND IS ON JESUS. HIS WORD IS BURIED IN MY HEART! I am staring at Jesus. Yes…My eyes are fixed on Him. Not only my eyes but my mind too. It’s the only way that I can stand up, survive, endure, and overcome the attacks from the enemy. I’m very glad for the grace of God and His wonderful mercies that I meet up with first thing in the morning. I have had some health issue lately and it’s been very difficult to blog. All that I have written about for the past few years is helping me so much now. Psalms 34:4 I sought the LORD, and he answered me; he delivered me from all my fears. I’m a living witness God’s blessings….and when I die… I pray that my life will be a testimony of the goodness of Jesus Christ. Folks…..the gospel of Jesus Christ is real and it is true!!!! Believe you me!!! Tanya, your message is beneficial and so meaningful! It nourishes one’s heart, mind and spirit! 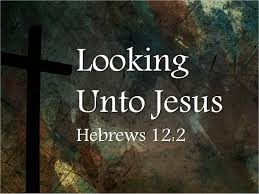 There are many things we encounter in our lives…and so many are blessings from another believing spirit…I look to Jesus every day, as I live, for in Him i believe. I will include you in my prayers my sister!